Bone is living tissue. Just as old skin cells die off while new skin cells are formed, old bone cells die and new bone cells are formed to replace them. Your body is constantly developing micro fractures in old bone and that old bone needs to be replaced. This bone remodeling is what keeps your bones strong and your body systems healthy. If this remodeling does not take place the microfractures (old bone) will continue to expand, our bones become weak, and our overall health declines. 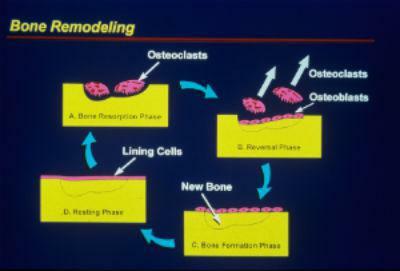 Fosamax and other bisphosphonate drugs stop “the natural clearing of old bone”. These drugs poison osteoclasts which results in micro-fractures (old bone) expanding instead of being naturally replaced by new healthy bone. This drug intervention causes our bones to weaken even more over time. Science Has Known for Many Years That Osteoporosis is Actually an Inflammatory Condition. When we say “Inflammation” this means osteoporosis is an immune system problem. When our immune system has become overstressed because of lifestyle stressors (poor diet, poor intestinal health, food sensitivities, environmental toxins, adrenal stress, chronic pain, etc.) it becomes dis-regulated and pro-inflammatory. This not only happens with osteoporosis but with all chronic disease processes. When people have osteoporosis they always have some other system in the body that is out of balance such as digestion, hormones, blood sugar, thyroid, adrenal fatigue, balance and cognitive disorders of the brain, etc. Specifically what happens with osteoporosis is that certain immune cells called cytokines increase due to chronic stressors. These cytokines cause overproduction of a type of bone cell called Osteoclasts. The overproduction of Osteoclasts causes too much bone to be removed, which causes the bones to become weak, making them more susceptible to fractures. If you have Osteoporosis or Osteopenia you have inflammation. If you have bone loss and you want to reverse it, you need to find out what is causing your inflammation. The cause of inflammation can be different for each person. How do I correct the underlying cause of Osteoporosis? We now have state-of-the-art laboratory testing available that can measure the different stressors in the body that cause this pro-inflammatory response in osteoporosis. Once the stressors are identified and eliminated the inflammation will calm down and no longer cause and overproduction of osteoclasts and excessive bone resorption. Testing to see if bone resorption has normalized can often be done in less than 90 days. Once the cause of excessive bone loss is removed the process of bone building can begin. The process of rebuilding does not simply improve bone health but, more importantly, it improves your overall health. How Can the Drugs Make Our Bones Weak? 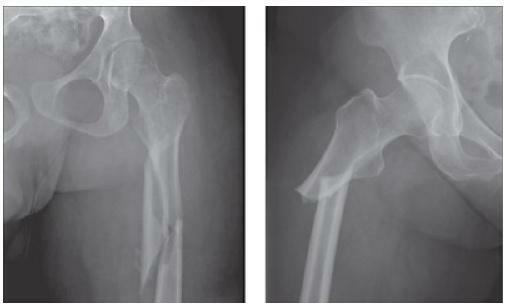 Fosamax and other bisphosphonate drugs stop “the natural clearing of old bone”. These drugs poison osteoclasts which results in micro-fractures expanding instead of being naturally replaced by new healthy bone. One prominent class-action suit against Merck includes 3,300 cases of atypical femur fracture. That’s right – this drug that is supposed to “cure” osteoporosis has been implicated in thousands of cases of femur fracture. The femur is one of the strongest bones of the body. It is quite ironic when you consider that doctors often scare their patients into taking osteoporosis drugs by telling them they’ll succumb to fractures if they don’t take the medications. All dentists are aware of the harmful side effects of these bisphosphonate drugs, because of their link to a side effect called osteonecrosis of the jaw or “Dead Jaw Syndrome”. 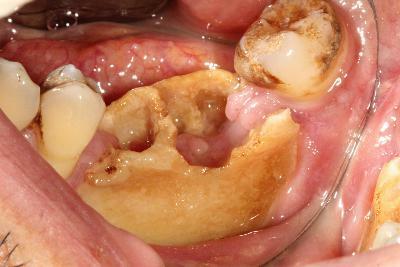 The drugs do not allow the bone to repair normally thereby causing a decaying process of the jaw bone that has no cure. Are Drug Companies Telling the Truth? The Drug Manufacturer Merck Ignored Warnings about Fosamax Side Effects, Merck’s VP of Clinical Research Makes Shocking Admission Under Oath, Their Study On Toxic Osteopenia Drug Fails to Prevent Fractures for Osteopenia. Unfortunately this drug and others like it are still being prescribed by well meaning doctors because of what they were being told by the drug manufactures. Patients with osteopenia or osteoporosis often say they are afraid of the side effects of bone drugs, and for good reason. The side effects of these drugs are many, they can be very dangerous, and most importantly the drugs do nothing to correct the underlying cause of why you have loss of bone density in the first place. The drugs do nothing to improve bone health and over time will actually cause the bones to become weaker and more brittle. Many osteoporosis drugs may indeed increase bone mineral density initially; but the problem is this is achieved artificially by suppressing the body’s natural remodeling process. The bone then becomes hard and brittle, and more prone to breakage. Success can only be achieved by following a structured system that finds and corrects the underlying malfunctions in your body. We test, not guess. We now have state-of-the-art laboratory testing available that can measure the different stressors in the body that cause this pro-inflammatory response in osteoporosis. Once the stressors are identified and eliminated the inflammation will calm down and no longer cause and overproduction of osteoclasts and excessive bone resorption. Testing to see if bone resorption has normalized can often be done in 90 days. Once the cause of excessive bone loss is removed the process of bone building can begin. It is important to understand that some lifestyle changes will need to be made in order to make your bones stronger. The process of bone building does not simply improve bone health but, more importantly, it improves your overall health. 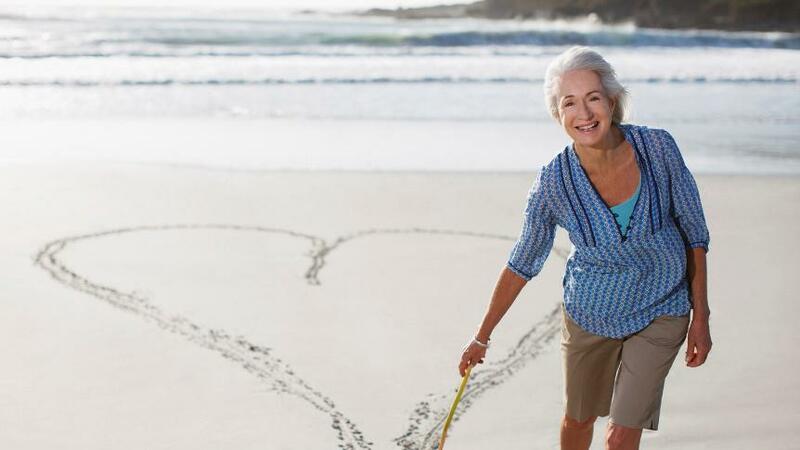 You are likely beginning to understand that treating the underlying cause of osteoporosis will have a very positive impact on your overall health. Correcting the underlying cause of excessive inflammation and improving immune system health will go a long way in improving your overall health.